PIERCETON — Pets of the Week are available at the Animal Welfare League, located at 3489 E. CR 100S, Pierceton. The greatest leader of the Rebel Alliance is on a mission to end the tyranny of the Empire and to find her “furever” family. 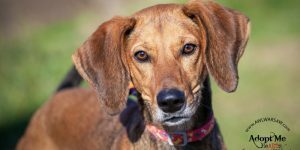 Leia is a one-year-old, spayed, female Redbone Coonhound and Beagle mix that weighs 26 pounds. She is red with black highlights and the sweetest brown eyes. She loves to play and go for walks. Leia does well with other pets and loves to be with children. Will you use the force and make an alliance with this renegade princess? Come meet Leia today! Leia’s adoption fee is $130. Jabari, a name derived from Swahili meaning “brave one,” totally matches this cat’s adventurous spirit. 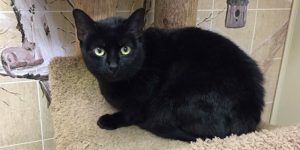 Jabari is a one-year-old, neutered, male Domestic Short Hair mix that weighs nine pounds. He has black velvet fur and golden eyes, much like a miniature panther. Jabari loves to have his ears rubbed and curling up on one’s shoulder. This outgoing and friendly boy would love to have a home with a nice family. Come visit Jabari today! Jabari’s adoption fee is $70. For more information, contact the Animal Welfare League at (574) 267-3008.